Spa | Scottsdale Med Spa | All rights reserved. 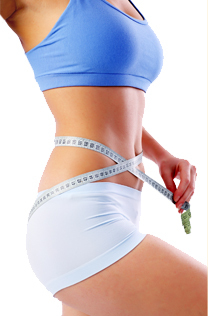 Recreate Med Spa is a Scottsdale Med Spa and state of the art center that focuses on Medical Aesthetics, Laser Therapy and Medical Weight Loss Solutions. We offer a free consultation to every client to evaluate any of your areas of concern, and help you understand the process required to achieve your goals. Our professionally trained staff has several years of experience in the field of medical aesthetics and weight loss management. We utilize the latest technology and modalities to provide non-invasive, non-surgical treatments to achieve your desired results. The treatments are provided in a comfortable, safe and relaxing environment. We are in the business of helping everyone look and feel their best. Our certified clinical weight loss specialist can help you choose the best options for you. From start to finish we will be with you every step of the way. Transformation to the new you is just a phone call away. Recreate Med Spa in Scottsdale offers numerous cosmetic treatments. Join Recreate Med Spa today and take advantage of the many services we provide. Services Include...The New Pico Laser ,VenusViva Nano Fractional RF, Laser Hair Removal, Laser Tattoo Removal, Custom Signature Facials, Chemical Peels, Eyelash Extensions, Laser Vein Treatment, Permanent Makeup, IPL PhotoFacials and Weight Loss Management. Looking to lose weight? Start off on the right foot and join the General Weight Loss Program at our Scottsdale weight loss center. Lay the foundation for your weight loss goals with medical-grade sublingual HCG tablets, available only from our Scottsdale Med Spa. Worried about fine lines and wrinkles? Consider a Chemical Peel Treatment at our Scottsdale Med Spa. Chemical Peels gently lift away the uppermost layers of the skin, treating pigmentation, sun damage, fine lines and wrinkles. It helps stimulate collagen for firmer and tighter skin, leaving behind smooth, youthful-looking skin. Suffering from acne scarring, rosacea or hyperpigmentation? Our med spa in Scottsdale, AZ offers VenusViva Nano Fractinal RF, IPL Photo Facial treatments to rejuvenate and restore your skin’s appearance. Reduce fine lines and wrinkles, stimulate collagen and elastin, decrease the appearance of pores. Our laser hair removal Scottsdale medical spa uses the Venus Velocity 810 Diode Laser and the Luminess M22 Intense Pulse Light therapy for hair removal. This top-of-the-line treatment is one of the newest treatments to remove unwanted hair follicles on the legs, back, chin, face and any other area of the body. For more information about Medical Aesthetics, Medical Weight Loss and Laser Hair Removal in Scottsdale, call us at 480-219-9099 today. 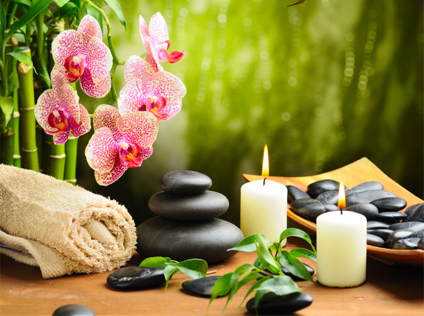 We at Recreate Med Spa would be happy to answer any questions you may have about our services.